Though this stunning red, white and blue American flag cake screams “Fourth of July Cake,” it’s such a good dessert you’ll want to make it for Memorial Day and other summer holidays too. 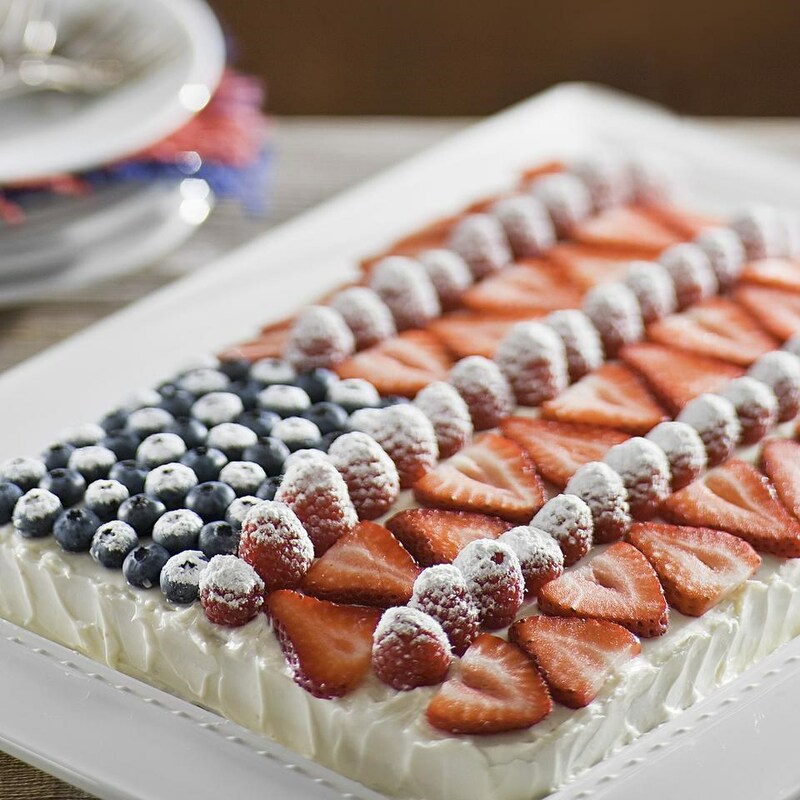 Eating Well magazine made this flag cake recipe healthy, with less saturated fat and calories than traditional versions, by replacing some butter in the yellow sheet cake with oil. Plus, for the cream cheese frosting, replace some of the cream cheese and butter with low-fat Greek yogurt. To prepare frosting: Beat cream cheese, ½ cup confectioners’ sugar, yogurt and ½ teaspoon vanilla in a mixing bowl until smooth. Posted in Recipes, Uncategorized. This entry was tagged healthy, holiday, holiday health, holidays, nutrition, recipe, recipes. Bookmark the permalink.